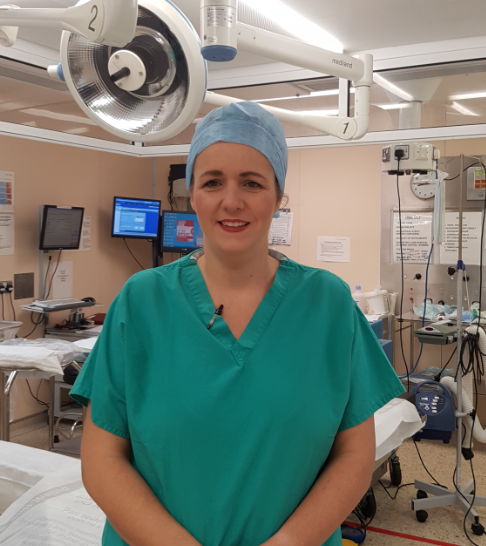 This week’s Face of SaTH is Theatres Nurse Laura McGregor. I have been working as a nurse for SaTH since qualifying in September 2016. I undertook my nursing degree at Wolverhampton university and my greatest achievement was obtaining a first class degree in my dream job. I first started my new career as a nurse on ward 15, acute stroke which I thoroughly enjoyed and stayed until January of this year. I moved to main Theatres in Telford as a scrub nurse and I absolutely love it! 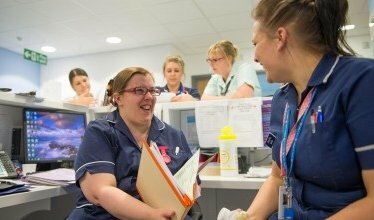 I work with an amazing team of Nurses, ODPs (Operating Department Practitioners), Healthcare Assistants, Surgeons, Anaesthetists and the rest of the team working in Theatres; we work as a fantastic team and it's like one big happy family. My job involves scrubbing for surgery and assisting the surgeon with the instruments they need, or if not scrubbed, helping the scrub nurse with anything they may need while they are sterile. I generally work with the orthopaedic surgeons and breast surgeons but do need to know what to do for any possible emergency that may occur when I'm on call. I live with my beautiful family; my husband of 17 years, my 15 year old son, 8 year old daughter and our precious dog, Ossie. My spare time is spent with my family, taking Ossie for walks and I enjoy attending Body Attack classes on Saturday on my days off! If you are interested in Nursing Jobs at SaTH, please click here.